I’ve been wanting to write longer posts, and it appears I have an opportunity to do so now. Before you venture into this, I need to warn you. My brain is kind of a rambling, random mess at times. Since I am my own editor, that randomness is going to show through on this post. OK, I’ve warned you. Here we go. By that, I mean that you know what happened and you know much of the actual information already, but you can see coverage of the events starting to develop in the online media space. The coverage, that is inaccurate in certain areas, slowly becomes more accurate as time goes on. As the online publishers continue to add statements with ‘CORRECTION’ or ‘EDIT’ notices on them, eventually the story is accurate enough to represent the actual story. 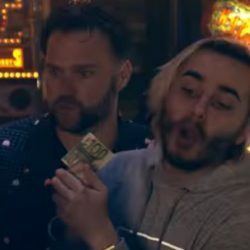 In the spirit of that eventual accuracy, there are points made on this podcast episode about the SUPERLeague NYC that I feel need to be addressed. I thought about just saying nothing and moving on. However, that would mean the incomplete information would still be left out there. I have eyewitness testimony that I believe can be helpful. Apparently, I also have the egotism to take the time to type this testimony here, and think that it matters at all. Hey, it’s my website, I’ll do what I want. Therefore, since the topic is SUPERLeague, I’ll start by saying: As an enthusiastically competitive player from New Jersey who visits New York City when I can, I was fortunate enough to win five out of the 12 events along with some other decent finishes during the 2015 year. I have also won two out of the first four SUPERLeague events for 2016 (let’s not mention those bad losses). This was part of my plan to use the SUPERLeague as a tool to break the system in a dastardly scheme to rule the world via WPPR points. And I would have gotten away with it too, if it weren’t for those meddling kids. If you believe that, I have a new-in-box Magic Girl and a home-use-only, licensed Predator to sell you. The following is the actual qualifying format for SUPERLeague NYC. The games in the arcade interactive showroom ( 😀 ) are divided into groups of seven games each (for the year 2015, it was nine games for each set). Each group is assigned one of the weeks in a month. 2015 series: A player is allowed to play and replay only the set of games assigned for that week. 2016 series: A player is allowed to play and replay up to two weeks of assigned sets. Note that up to this point in my SUPERLeague NYC career, I have not replayed a set. I wonder if that will change in the future. Like PAPA style, each set of 7 or 9 games is an entry. You must be consistent across all games in the set to have a good ticket. Unlike PAPA or Herb style, you keep the last entry, not the best one. If you want to replay a weekly set, you are replacing the entire set of games from your previous entry no matter how good your scores were. You are risking the replacement of good or even first place scores with garbage if you are not careful. As an aside, I wonder what the effects would be of running a tournament with unlimited qualifying where your last score counted instead of your best score. Maybe that’s the cure for the common Herb style. That’s another one of those articles I haven’t written yet that might be fun to dive into sometime. 2015 series: The player with the best total ranking points from all games is the winner and other players are ranked accordingly. 2016 series: To satisfy the Playoff/Match Play requirement, the top 10% of players based on ranking points from all games qualify for the Finals. Playoffs and Finals are for closers only! The SUPERLeague NYC finals was referred to as “a 1-ball PinGolf Multiball rule or something that’s really bizarre.” (1) That analysis is incomplete. Actually, since the word “bizarre” is an opinion, it cannot automatically be called right or wrong. In order to work toward that determination, we would have to define what “bizarre” means in this context and compare it to things that are not seen as bizarre. 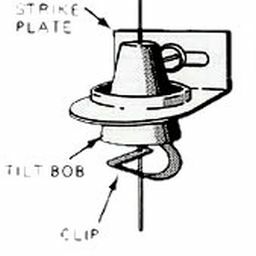 I wonder if certain formats such as Pin-Golf, Knockout/Survival or Pin-Bowling were once considered bizarre, though they are more accepted as mainstream formats now. One person’s “bizarreness” is another person’s “innovation”. 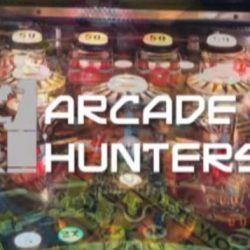 Have you heard of the Ghostbusters Pinball Challenge? However, the one-ball portion is not quite right. Instead of just addressing it quickly and moving on, let’s analyze it a bit more. The following is the actual format for the finals that happen at the end of each month. You may see it as an innovative and action packed pressure-fest, or you may see it as total crap that must be drowned in the fires of Hades. I will attempt to detail it with as little bias as I can. Before the start of a two player game, the better seeded player has the first choice of either the game or the order of play. The other player has the remaining choice. A player cannot choose the same game more than once throughout the finals. If Player One gets Multiball and Player Two does not on the same ball, then Player One wins. If Player Two gets Multiball after Player One failed to get Multiball on the same ball, then Player Two wins. If both players achieve Multiball on the same ball, then whoever has the higher score at the end of that ball wins. This why it’s important that if you are Player One and you start Multiball, you must keep playing to set your score. You might even start more Multiballs in the process, but you must keep going. Player Two will still have the chance to try to catch you. If neither player gets Multiball on the same ball, the game continues. If the game ends, and neither player has achieved Multiball, whoever has the higher score wins. For the next game (if there is one) you play on the same machine, but the loser of the previous game chooses the order of play. So, Multiball is the top priority followed by your score. That’s it, in a proverbial nutshell. But, let’s dig a little deeper into this. One ball for it all? Is it possible for game to end in one ball? Yes, certainly. If Player One scores a swift Multiball on ball one, and Player Two fails to counter immediately with a better one, it’s over. Likewise, if Player One fumbles out of the gate and Player Two checkmates them with any sort of Multiball, it’s over. Players must always be one their guard, ready to take advantage of any weakness or bad luck to put the hammer down and get out of there with a victory. However, there are games where both players have tripped over each other in a display of total futility, or the game itself has a very difficult, risky process to get Multiball. These games very often will last the entire three balls. Sometimes, players will take a risk and play for score the whole game, wagering that no Multiballs will be started. Games can get very interesting when Player One does start Multiball, but doesn’t do very well in it, doesn’t do much else after it and ends the ball with a relatively low score — a “Weak Multiball”. In this case, Player One is vulnerable, but can win if Player Two gets caught napping and doesn’t perform. You must stay alert at all times! The following are examples that I’ve seen happen or have happened to me personally in a match. I give these examples as a means to help you evaluate what you think of the format. Sure it’s anecdotal evidence, but it’s what I can offer. Monster Fish or Bust – Fish Tales has a notoriously difficult set of shots to make to start Multiball. I have seen players go for Monster Fish instead, completely ignoring Mulitball progress, gambling that their opponent will fail to start a Multiball to steal a victory. It’s also interesting to notice when the players transition from trying to start Multiball, to playing for score, back to playing for Multiball all in the same game! Mustang Dilemma – Sure, that Year 1970, Quick 2-ball Multiball is right there waiting for you at the start of the game. However, it typically doesn’t score very much, and it can get crushed by someone headed straight for a Gear 3 Multiball on a successful super skill shot combined with a high scoring mode. Will you take the safer way and secure a Multiball or will you risk the super skill shot and force your opponent’s hand? Also, do not ignore Burnout Multiball! Xenon’s Lightning – The Xenon at Modern Pinball NYC has lightning flippers on it. The struggle is real to start Multiball. However the ramp shots are sweet for building score, and the dead flipper pass from the ramp saucer exit is nice enough to setup another ramp shot from the left flipper. Will you go for the upper saucer to light the lock? You will score pretty much nothing as your ball travels dangerously through the bumper area each time. Meanwhile your opponent is running away with repeated high-scoring ramp shots! Are you hoping to cut them off at the knees with a miracle Multiball? When will you decide to abandon Multiball and go for score? The Wizard of Options – Jersey Jack’s Wizard of Oz brings so many Multiballs to the party, but none of them are particularly easy to achieve. I’ve won a Final’s match on The Wizard of Oz after my opponent started a Crystal Ball 2-Ball, by countering with a riskier, but more lucrative Emerald City 3-Ball Multiball. Mission Decision – The Star Trek Pro at Modern Pinball is set with a steep incline and is a difficult playing game otherwise. Most players will go after the center target to start Vengeance Multiball as soon as possible. Even soft-plunging to get as much ball save time as they can, while they are flinging balls dangerously off of the center target. However, an important choice is available before all of that. Which mode will you use to help your score? This might be the only mode you get to do (seriously, the game is difficult). Bringing the right mode into Vengeance Multiball will help you put a big score on the board and put pressure on your opponent to counter immediately with something better. Use the wrong mode, and you might just run out of time which means no stack for you. I’ve seen players try each mode and it’s inconclusive which one is better to use. More often I see players breathe a sigh of relief when Vengeance Multiball has finally started, and they are still alive and flipping. But, that’s not the time to get comfortable! Stay alert! Klingon or Vengeance – Take everything I just described in “Mission Decision” and add the fact that you don’t have to go for Vengeance Multiball. You can decide to go for the big money and attempt to get to Klingon Multiball instead, which is more difficult to start. Big risk, big reward. Big chance to die with nothing on the board. Might Player Two try to counterattack with Klingon after Player One has already used Vengeance successfully? House Baratheon? – On Game of Thrones, choosing House Baratheon immediately gets you closer to Battle for the Wall Multiball. However, you get no advantages such as House Martell’s Add-A-Ball or House Tyrell’s inlane shot multipliers. I have been on the winning and losing end of this choice of Houses. I’ve chosen Baratheon and lost to a player who did way better with Martell’s Add-A-Ball. I’ve also won with Baratheon over someone who failed to start Multiball with Martell. In this case, Player two has the advantage of knowing which house Player One chose, and can react accordingly. Put me in, coach! – If players don’t know how to start Multiball on the game they are about to play, it is encouraged that they ask someone (even their opponent) how to start Multiball before the game starts. I have lost games after explaining how to start Multiball simply because of my poor performance. I have had players watch what I do, and then tell them to do what I just did, but do it better. Sometimes they do, sometimes they don’t. I’m not dead yet! 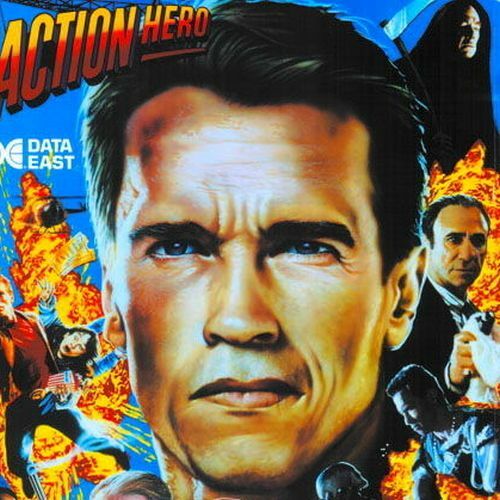 – I have seen and been involved in games where Player One failed miserably, but Player Two drained after being only one shot away from starting Multiball and winning the game. This of course brought Player One back to life for ball two. However, Player One knows they need to start Multiball now and put up something significant since Player Two is on the doorstep. Catch me if you want – On Corvette, only two right ramp shots are needed to start “Catch Me” mode. A mode that some players will time out because it stops you from lighting locks and locking balls in the engine. However, did you know that completing “Catch Me” mode starts a Multiball? If you didn’t, you do now. Quite a number of players at Modern Pinball also know this now that didn’t know beforehand. Talk about surprise victories. A captive audience – Let’s wrap it up where we started on these “case studies”, Fish Tales. I selected Fish Tales as the battlefield for a Grand Finals match knowing how difficult it is for me to lock balls on that game. 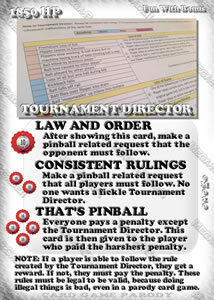 Check out this post, “The Most Difficult Multiball in the Hobby” for more rantings about that. However, my game plan was not to go for the lock shot but to use another way. Let me tell you, those were some pressure-filled attempts at that captive ball. These are only the situations I remember right now. I’m certain to see and experience more examples at the next Finals. Because of the cutthroat, possible instant-death nature of this format, game choice is very important. That means it’s also very important to get the best seed you possibly can before the finals. Because of this, competitors will replay their sets in an effort to raise their seed even a small amount. However, with each retry a player risks a significant drop in rank by their own hand, because they lose their previous set and are replacing it with the current one. With so many games to choose at Modern Pinball NYC, I have rarely seen players choose to go second and allow their opponent to select the game. At least, not until the end of the Finals nears as people have used up many of their game choices. I say rarely and not never because I can see the power of going second in this style of Finals. I have done this. As long as you can handle the pressure of going second, needing to get a Multiball to survive, after Player One has already gotten it done. The power of going second can be significant. If you are that confident, why not challenge someone to a contest of “anything you can do, I can do better?” Just try not to grin too much when you see that your opponent has failed on ball one on a game like Mustang where Multiball is almost inevitable. Your hubris can cause carelessness and may end up resurrecting your opponent right back in the game. This format can be a chess match at times or like a sprint at other times, as strategies between players can fluctuate quickly during the game. This format will make you think about different ways to play it than you would normally. Just have a quick look at those case studies above again. I know I have had my brain challenged to think outside the box as the stereotypical business person might say. This format doesn’t take as long to finish, which is very important for players who are visiting New York City especially on a weekday, and don’t want to be there too late if they happen to do well. Counterpoint: This can seem unfair to those players who happen to lose in straight sets or get shutout completely, especially if they have come from a long distance to play. At least they do get admission to Modern Pinball for the rest of the night if they wish. This format can be detrimental for new players, since many of them may not know how to start Multiball on the particular game you are playing. Counterpoint: Opposing players, in a show of sportsmanship and fair play, will explain how to get to the one or more of the Multiballs available on the game if asked before the game starts or after a game is over. This is encouraged before the start of the Finals. This format can seem unfair to new players when they realize they have lost before all of the balls have been played. This format may be difficult to explain or difficult for the new player to understand, especially if they are used to the traditional “high-score wins” competitions. Counterpoint: Although, I have not heard complaints from players after the format has been explained. These are the pros and cons of this format that I can think of at the moment. I think I have described the format well enough that you could think of more pros and cons that I have missed, and I invite you to comment about them if you wish. That’s concludes my eyewitness testimony. Well, I guess that’s about it for now. Congratulations if your attention span held out long enough to make it this far into the blog post. Because this is the Internet, and things posted on the Internet are often misinterpreted, I feel the need to break kayfabe by stating that I am not angry or even displeased with was was presented in the episode. I enjoyed it just as I enjoyed the previous ones. With this post, I am attempting to straddle the line between satire, sarcasm and stating relevant points. This post is also not intended as a defense or as a promotion of the SUPERLeague. The analysis presented here is meant to address only the previous misrepresentation of the SUPERLeague qualification and finals format and no other aspects. If you trust me enough to give accurate testimony, at least you now know more about what you hate, or like, or are indifferent about SUPERLeague NYC. As such, you can resume throwing stones from afar at your leisure, with more information about what happens at SUPERLeague. Regardless, as long as the SUPERLeague exists, I am still going to see if I can go through that Holland Tunnel, maneuver through the concrete jungle and come back with a victory or two. 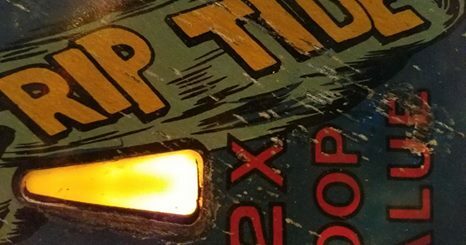 I try to visit Modern Pinball as much as I can. 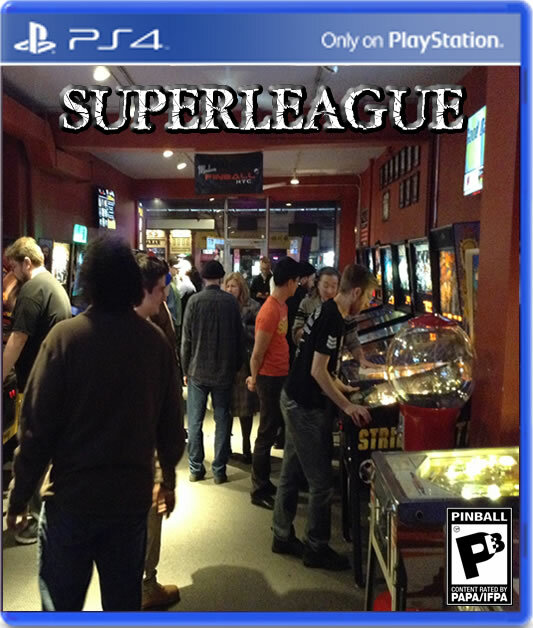 I would do so even if the SUPERLeague didn’t exist, because I never had the chance to experience New York’s Broadway Arcade when it was around. Those who know, will know why those two places are linked together. Modern Pinball is my Broadway Arcade. Actually, that’s not quite all. 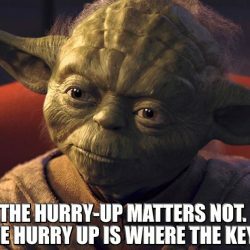 Since I am addressing things that I think need correcting, The phrase, “The Reckoning” when referring to the massive potential shake-up of WPPR points due to the new iteration of the system, is mine! All mine! 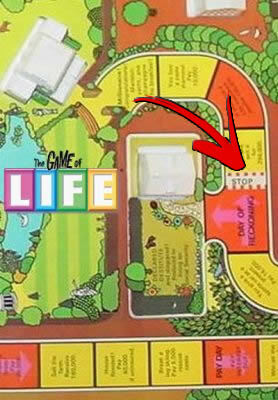 Never mind that I was thinking of the board game, The Game of Life when I was throwing that phrase around. Forget about Milton Bradley or Hasbro or whoever allegedly used that phrase first. I missed the opportunity to trademark that phrase like the Fine Brothers tried to trademark the word “React”. 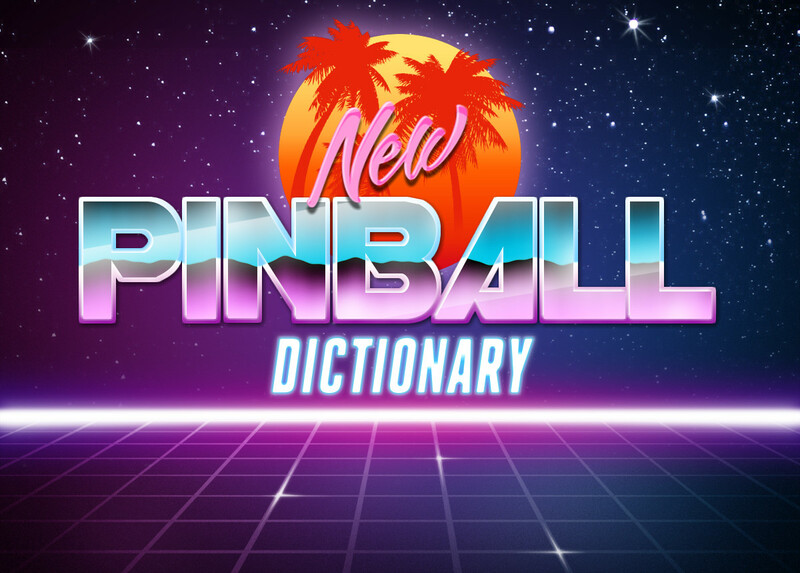 I missed the chance to fast track a nomination of the term “The Reckoning” into the New Pinball Dictionary to solidify it’s proper place in pinball history. I might still do that. 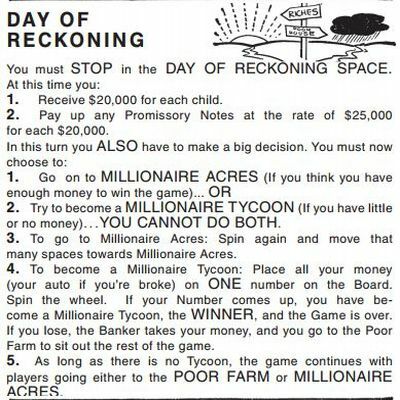 I used “The Reckoning” to refer to the day I was to finally receive my comeuppance for accepting the sins of the hundreds of nefarious, ill-gotten WPPR points upon my person. The day when those sinful points would be cleansed from this world, never to be seen again, until the next exploit. And, if you believe that one, then I have some fresh Kool-Aid for you to drink in this room over here, right before we catch a ride on some DC-8 airplanes on our way to that great spaceship to the hereafter. 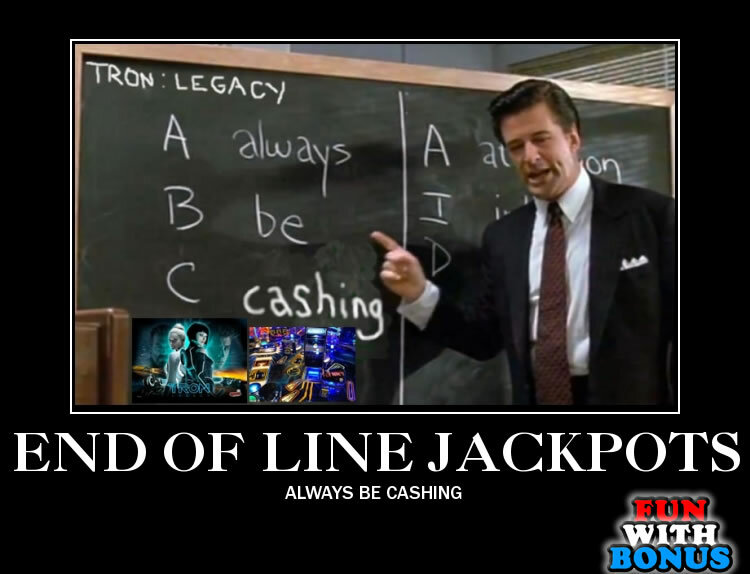 Speaking of poisonous substances, there are some new wrinkles in the WPPR formula discussed briefly in this episode of TILT THRU and posted on the IFPA website that could address competitions like the evil SUPERLeague. I wonder if a mutation of the SUPERLeague virus is ready to counter this latest attempt at a vaccine. My Non-Disclosure Agreement (NDA) prevents me from openly discussing any of these possible mutations (you’ll have to listen to the episode to understand why I just referred to NDAs). Then again, maybe the SUPERLeague will actually be better off as a result. I can’t help but think positively. Selfie League goooooood! Super League baaaaaaad! Selfie League goooooood! Super League baaaaaaad! <== “Oh … Never mind then … Well, there went my motivation to start a selfie league in my area. I wish I could continue to do more detailed posts like this, but this one sure took me long enough to write. I hope TILT THRU: Episode Five has been released by now. Thanks for reading and taking this trip with me. I now return you to your regularly scheduled aggregation. Citation (1) refers to time 0:56:22 in the episode.